The whole reason we chose Royal Caribbean for our cruise was their climbing wall, and we didn't get around to climbing until our last day onboard. Even then, Xavier was too busy to climb with us. 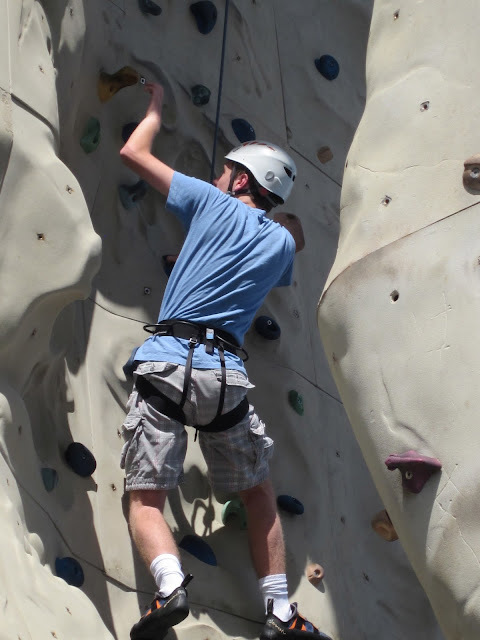 Dominic didn't want to climb, but we talked some more about overcoming fears, and up he went. He only got a few feet off the deck, but I was proud of him. Now to go climbing more often. Other than Dominic, our entire family loves it. That looks like so much fun. I would love to do something like that.